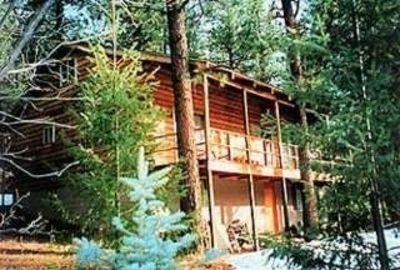 4BR Pendaries Pines Log Cabin-Close To Golfing, Hiking & Skiing! 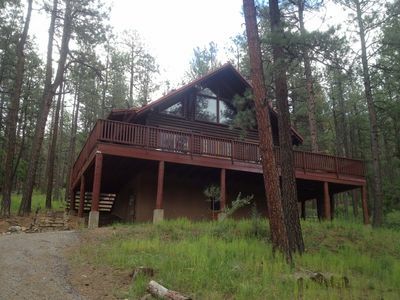 Ore Claim Ranch is the perfect place to escape year round for some R&R In the Ponderosa Pines! The home includes 3 bedrooms (2 kings+1 queen), 2 full baths and a basement outfitted with 2 double sized bunks beds and washer/dryer. The 1800 sq ft cabin will comfortably accommodate 8 (max occupancy 12). The interior includes 3 levels- the large basement, the main level with 1 bathroom, 2 bedrooms, kitchen, 2 story living and large rock fireplace. 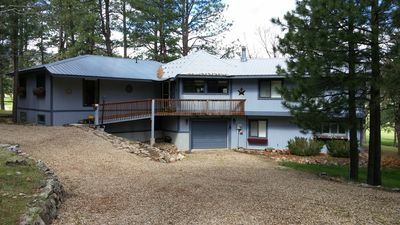 The top level is a master type loft open to the main level with a private bath. All the necessities are here: fully stocked kitchen, propane grill, 3 satellite TVs, and WIFI. **Note about the Wifi- the internet is satellite. If it is windy/rainy/snowy etc it will affect the connection and speed! We do have the highest data package offered by the company but it is still only so reliable. We offer NO GUARANTEES on the internet. 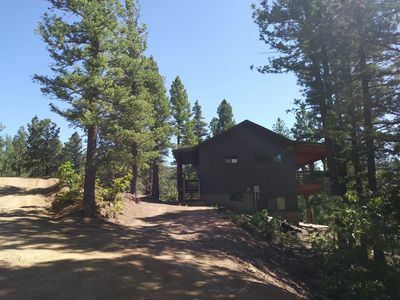 The location is very rural so please expect that you will not get urban speed and connections at the cabin. 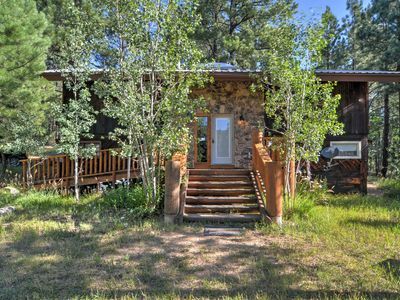 In the summertime enjoy the tranquility of the mountains outdoors on the 10 foot wrap around deck. There are multiple fly fishing options within a 45 minute drive for the fishing enthusiast; as well as a neighborhood pond that is stocked with fish in the summertime. (Fishing license required.) As well as a 18 whole golf course located in subdivision. You will find a drive in theater located within a 20 minute drive (Las Vegas, NM)!